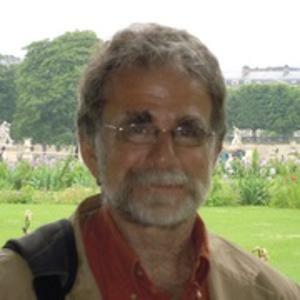 Glen A. Mazis, Ph. D.
III. Imaginal of Institution, Sensible Ideas, and Proustian Sensitivity. 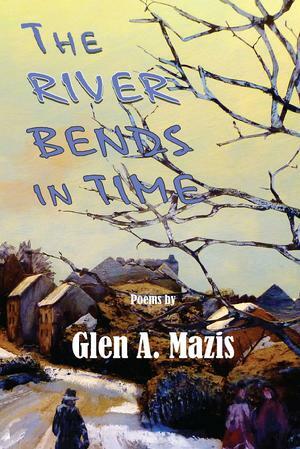 "In Frost-like fashion, Mazis portrays the contemporary philosopher-poet questing for insight and connection that staves off our common loneliness, pain and fear, while ever ready to clasp life’s simplicity and joy." Thomas Lux’s books of poetry include God Particles: Poems (Houghton Mifflin, 2008); The Cradle Place (2004); The Street of Clocks (2001); New and Selected Poems, 1975-1995 (1997), which was a finalist for the 1998 Lenore Marshall Poetry Prize; The Blind Swimmer: Selected Early Poems, 1970-1975 (1996); Split Horizon (1994), for which he received the Kingsley Tufts Poetry Award; Pecked to Death by Swans (1993); A Boat in the Forest (1992); The Drowned River: New Poems (1990); Half Promised Land (1986); Tarantulas on the Lifebuoy (1983); Massachusetts (1981); Like a Wide Anvil from the Moon the Light (1980); Sunday (1979); Madrigal on the Way Home (1977); The Glassblower's Breath (1976); Memory's Handgrenade (1972); and The Land Sighted (1970). 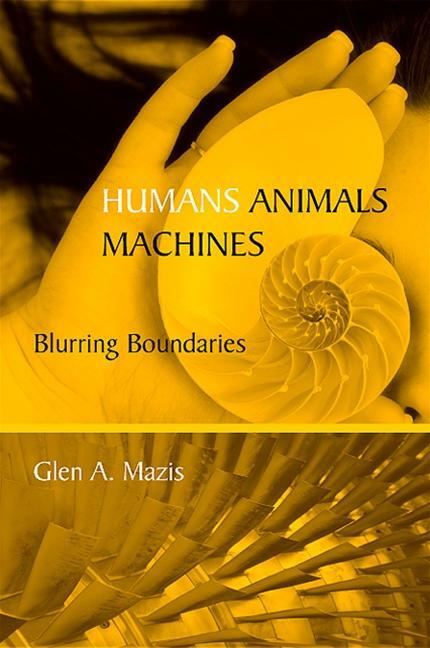 Humans, Animals, Machines: Blurring Boundaries (SUNY, September, 2008). This book probes the blurring of boundaries among humans, animals and machines. It explores how this blurring has become intensified in ways both destructive for humans, animals and the environment, and also offering fruitful possibilities for these three realms to work together. The book is unique in looking at the comparison of all three realms together, instead of just comparing two of them, as most studies do. Also, the book is unusual in being so interdisciplinary, drawing upon philosophy, artificial intelligence studies, physics, animal research, writings about autism, literature, aesthetics, technology research, poetry, attachment theory, and psychology. The approach is largely phenomenological, concerned with fidelity to most people’s experience. Other phenomenological approaches to the questions asked, such as Heidegger’s work on animals, are examined. Throughout, Merleau-Ponty’s approach to embodiment is used to articulate the relationships among humans, animals and machines in new ways. The intention of this work is to go beyond the shrill warnings about the dangers of ecological damage or the pitfalls of technical enhancement of humans or of the increasing power of various technologies, to reconsider how given that each realm does overlap with the other two, there must be ways that humans, animals and machines can work together for mutual thriving. The book dares to give new definitions of humans, animals and machines given their historical development and reconsiderations of their relationships. The book is not content to deal with philosophical concepts or abstractions, but works with contemporary examples of animal behavior, technological advances, robot experiments, or the life-transforming experience of someone with a cochlear implant. Readers will find a concrete path into these thickets of questions facing postmodern culture and be challenged by its conclusion that we need a new ethical response to animals and machines as “persons.” The book ends with a call for an ecospirituality. Emotion and Embodiment: Fragile Ontology (Peter Lang, 1994) is a phenomenological exploration of the differing ways we know the world through the emotions, and how both the world and we as knowers are different by knowing the world within the emotional life. It draws upon a lot of literary examples, as well as works of philosophy and psychology. It extends the work of Merleau-Ponty on the embodied, percetual basis of emotional apprehension and expression. This book has been cited by ALTER: The Review of Phenomenology in France in their 1999 issue devoted to the phenomenology of the emotions as one of the four most landmark works on the phenomenology of the emotions. Earthbodies: Rediscovering Our Planetary Senses (SUNY, 2002) details a sense of embodiment that entails different notions of time, perception, and the relationships to the natural world, to animals, to cyberspace, and to space itself. It is also a critique of American culture and its disconnectedness, and examines the fascination with vampires, ghouls, aesthetes, and the Internet. It is a book intended to help us move from a sea of sentimentality and violence towards an existence of commitment and the graceful affirmation of the natural world, other people, differing cultures, and each person's unique rootedness in a history and place. Syllabus for "Interdisciplinary Humanities 400: "Humans, Animals and Machines"
Syllabus for "Interdisciplinary Humanities 300: Interpretive Paradigms and The Susquehanna River"
Sylllabus for "Art, Film and Philosophy"
“Psyche and Nature: Tower and Lake, Yin and Yang, Archetype and Earth,” invited essay, Spring: A Journal of Archetype and Culture [Jungian Studies], Fall, 2006, pp. 1-22. Catherine Keller (New York: Fordham University Press, 2007), pp. 125-155 & 564-566. Our Embodied Friendships with Dogs,” in What Philosophy Can Teach You about Your Dog, ed. Stephen Hales, (Chicago: Open Court, fall, 2008), pp. 115-134. “Cyborg Life: The In-between of Humans and Machines,” ed. Astrida Neimanis and David Koukal, PhaenEx: Journal for Existential and Phenomenological Theory and Culture, Vol. III, no. 2 (Fall, 2008), pp. 14-36. “The World of Wolves: Lessons about the Sacredness of the Surround, Belonging, the Silent Dialogue of Interdependence and Death, and Speciocide,” special ed. Jame Hatley, Environmental Philosophy, Volume V, issue 2, Fall, 2008, pp. 69-92. “The Archetypal Alchemy of Technology: Escaping and Returning to Materiality’s Depth,” Spring: A Journal of Archetype and Culture [Jungian Studies], Vol. 80 (Winter, 2009: “Archetype and Technology”), pp. 1-35. “Time at the Depth of the World,” in Merleau-Ponty at the Limits of Art, Religion, and Perception, ed. by Kascha Semonovitch and Neal DeRoo, Continuum, pp. 120-146, July, 2010. “Human Ethics as Violence towards Animals: The Demonized Wolf,” Spaziofilosofico, Vol. 3, pp. 291-304 [special Fall, 2011 issue on “Violence”]. “The Sky Starts at Our Feet: Anasazi Clues about Overcoming Mind/Body Dualism through The Unity of Earth/Sky,” The Journal of Environment, Space, Place, vol. 3, no. 2 (December, 2011), pp. 7-21. “Merleau-Ponty’s Artist of Depth: Exploring “Eye and Mind” and the Works of Art Chosen by Merleau-Ponty as Preface,” PhaenEx: Journal for Existential and Phenomenological Theory and Culture. Vol. VII, no. 1 (July, 2012), pp. 244-274. “Animals, before Me, with Whom I Live, by Whom I Am Addressed: Writing after Derrida,” Divinanimality: Animal Theory, Creaturely Theology, ed. Stephen D. Moore, (New York: Fordham University Press, 2014), pp. 17-35.